I started practicing yoga fourteen years ago, when I lived in San Francisco. (It’s actually a condition for living there; the mayor’s office issues yoga mats to all new residents.) I spent nine of my eleven years there practicing what I thought was the yoga everyone outside of a hot studio or Iyengar studio practices (the first two were spent in a Bikram Yoga studio called Funky Door Yoga—that was fun but a bit limiting). I took vinyasa flow and hatha classes at studios like Yoga Tree and Urban Flow (now defunct, sadly) with teachers like Stephanie Snyder, Janet Stone, and Jason Crandell. I attended workshops on the subtle body. My friends and I regularly joined kirtan led by talented musicians, who sometimes played during classes at those studios! And I eventually did my first teacher training with Stephanie Snyder and Elise Lorimer. I didn’t know how good I had it. Once I started to travel and seek out yoga in other parts of the country and around the world, I realized that California was unique in terms of how consistently it offered yoga classes that were vigorous with creative sequences that maintained proper alignment, but also incorporated the other limbs of yoga, heavily infused with yogic wisdom, mantra, pranayama, and great (often live) music. In short, a solid workout that was also good for the soul. 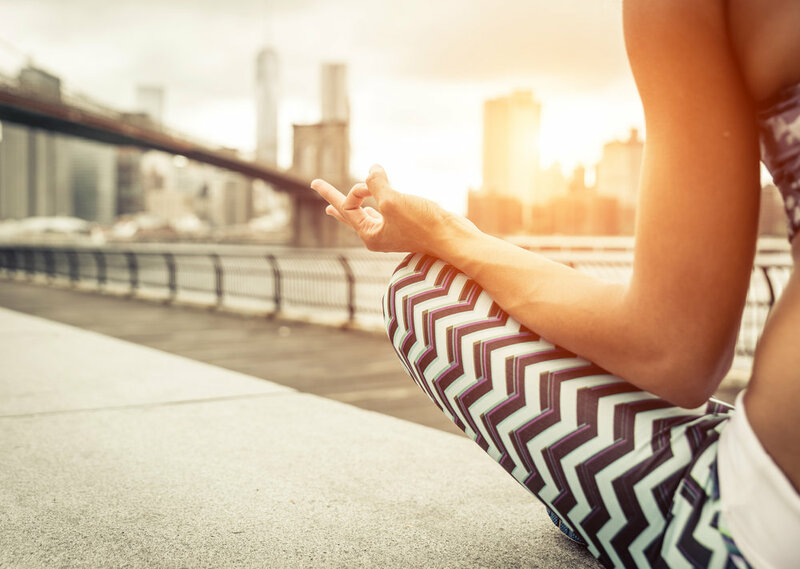 When I moved to New York City three years ago, I was disappointed that my favorite city didn’t have a yoga studio or teachers that offered the holistic style of yoga that I was used to. At least not that I found in that first year of yoga peregrinations around the five boroughs. In New York, I quickly learned, you have to choose between great flow classes that are strictly a workout or spiritual classes where asana is either an afterthought or nonexistent. Don’t get me wrong: There are some incredible yoga teachers in New York. It’s not the teachers. It’s the studios. Or, more accurately, the perception that New York can’t support a style of yoga that’s more holistic. I’ve noticed that there’s a fear among studio owners of alienating New Yorkers by being too hippie. Even chanting a few OMs before class is done tentatively, and only in a few studios. For those of us who understand what yoga is, this attitude is disheartening. Sadly, it’s also emblematic of the state of yoga in the West more generally. I also recognize that there is another crucial difference between New Yorkers and San Franciscans: Dedicated San Francisco yogis are willing to travel up to an hour each way to go to a class taught by a teacher they love. I did. As a result, the studios in San Francisco I frequented could offer classes to a hundred or more students. I think Yoga Tree’s largest studio can hold 160 students! And there’s no doubt that part of the magic of those classes was the size of the sangha (community) there. There was almost no room to change before class and it took forever to get there but we didn’t care. It was all about the yoga. In contrast, New Yorkers are rarely willing to travel more than a few neighborhoods for a class. Going to a different borough is definitely a no-go. At least that’s the perception. It’s definitely true for social gatherings. And I get it. People are busy. So this dictates the size of studios and classes, and how niche they can be. New York studios feel that they have to cater to the present interests of the residents in their neighborhood. Introducing a new style of yoga is perceived as risky. Given this behavioral difference, one wonders if the studio model in New York can sustain a novel, niche style of yoga that might only appeal initially to a smattering of students spread across the five boroughs. But I think it’s worth finding out. I know there are a large number of dedicated yogis around the city. And I think New York City is ready for a more integrated, holistic style of yoga. The emergence of mindful, progressive community event spaces like The Assemblage, The Alchemist’s Kitchen, and Maha Rose show that New Yorkers are embracing their mystical, spiritual side more than ever (even if some of these spaces are extremely exclusive). These new community spaces are more willing to experiment with innovative styles of yoga. Even the Rubin Museum is doing some interesting things with its yoga classes. This is why I’m excited to teach Elemental Yoga in New York. It’s got everything California yoga has, and more, including powerful kriyas, Himalayan kundalini, effective meditation techniques, and Laya movement. My friend Devi Elena and I will be offering a Sattva Yoga workshop on August 25th at the Reflections Center for Conscious Living in Kips Bay, Manhattan. If you’re in New York in August, we hope you can make it.